A quick dinner at Yat Lok (一樂燒鵝) before crossing the harbor for the Bolshoi Ballet, at the request of my friend. Given her penchant for the roast goose leg, and the fact that there were two of us, I suggested that we order a portion of lower-quarter (下庄). Perfect amount for two people, plus you are guaranteed a leg. 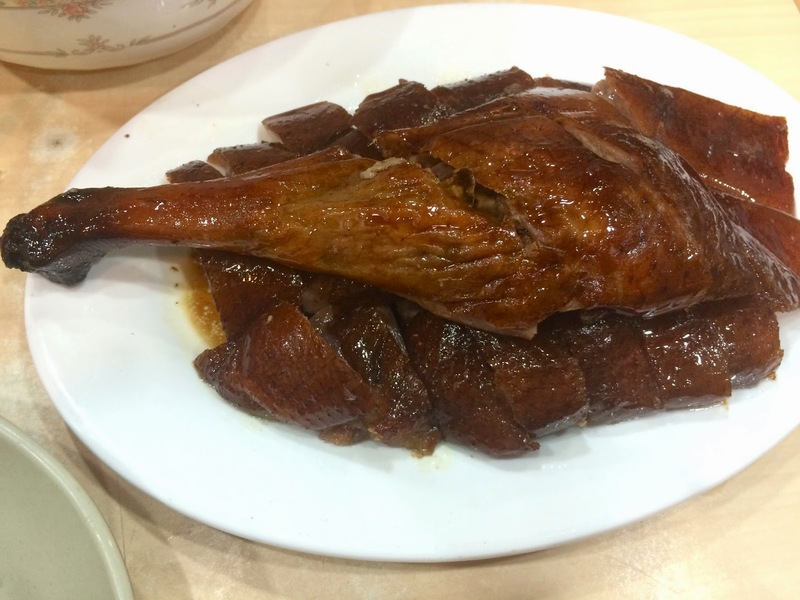 I do love the prominent five-spice flavors of the goose here, especially the star anise. We also ordered a plate of blanched choy sum (菜心) on the side. Gotta get your veg in! A plate of rice on the side makes the meal complete.